This is a new product debuting in May 2009. The new L’oreal Rosy Radiance Boosting Double Essence is packaged like the other double essences and contains tourmaline to promote whitening and a rosy look to the skin. This new essence feels light and has a really cute pink and white color. It is supposed to reduce the yellow tones of the skin and reflect a pinker rosier outlook. We need a rosy outlook in these troubled financial times don’t we? 😉 I don’t know how that will work or how effective it will be, so we’ll have to see as time goes by. So how was your week? Do you have any plans for the weekend? Happy weekend and stay beautiful! NEXT POST: Anya Hindmarch Canvas Tote – does it help the Earth? looking forward to see your l’oreal essence review. 🙂 but for some reasons, almost all of the l’oreal products break me out. it works pretty good for my mom though. Sometimes, some product formulations just don’t work for some people. 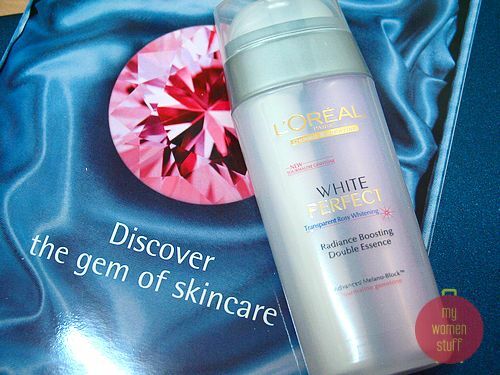 I’m really curious about the L’oreal essence too! I’ll be sure to update. Oh yeah I read about Yuan visiting body bar. Have fun! Sounds like you have a nice relaxing weekend all planned! Enjoy the weekend. 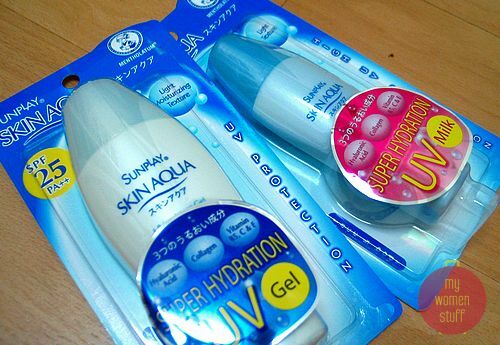 Hi PB, may I know where do you get the SunPlay Skin Aqua and how much of them? I bought 4 bots of this in JP, and already finished them. Wanted to get them desperately. Thanks. yes, they are good, i am using SFP25 on my body, don feel sticky and oily at all after fully penetrated. THANKS. I’m off to a shopping breeze this weekend too…so pray my credit card doesn’t burst, hehe! Have a great weekend PB! Isn’t it fun being a working gal?! 😀 Shopping sounds like loads of fun – boost the economy yes? 😉 Enjoy the weekend. need more time to test! Soon I promise! 🙂 Already started the testing period. Sorry to hear that about L’oreal. I’ve heard it happen often – perhaps its the fragrance in the product?